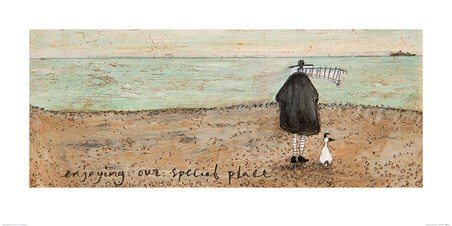 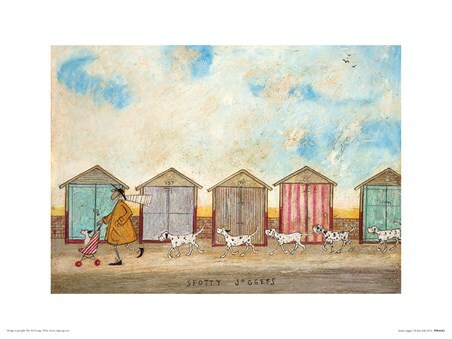 Art Print: Titled 'Breakfast In Bed For Doris' this charming art print illustrates Sam Toft's loved characters: Stripes, Ernest and his roly-poly Jack Russell - Doris. Coloured in a collection of beautiful pastel colours, we see Mr Mustard tending to his poorly companion whilst she lays in bed with a tea-tray. 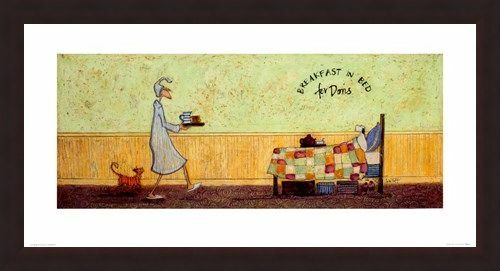 Homely features such as the patchwork blanket and Mr Mustard's striped nightgown and cap gives this image so much warmth, as well as their loyal friend Stripes following close behind. Any fan of this dynamic duo would love to decorate their home with this B&B scene. 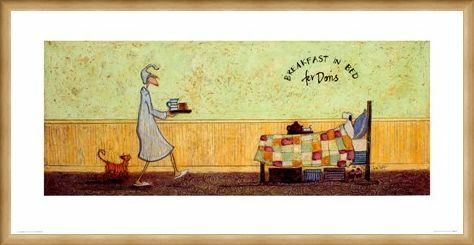 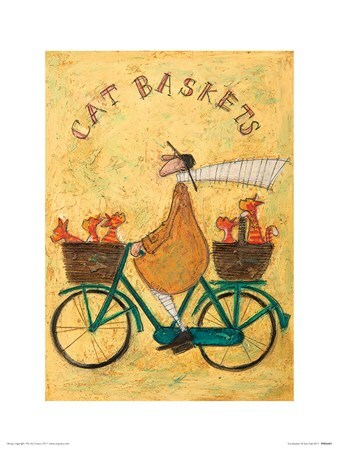 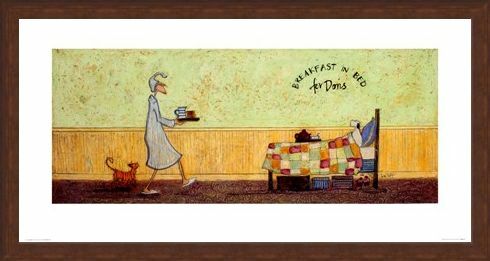 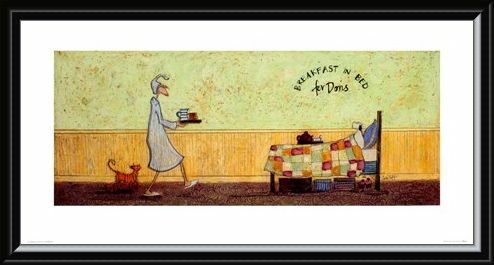 High quality, framed Breakfast In Bed For Doris, Sam Toft print with a bespoke frame by our custom framing service.